Imagine a Martin Scorsese film: Brooklyn, NY (1959.) A quiet summer evening in a neighborhood restaurant (think Denver’s version of “MOONSTRUCK”) – cut to a Ted Williams’ Louisville Slugger. Somebody “whacks” somebody. Ba-Da-Bing! Ba-Da-Boom! The End! Fugedaboudit! 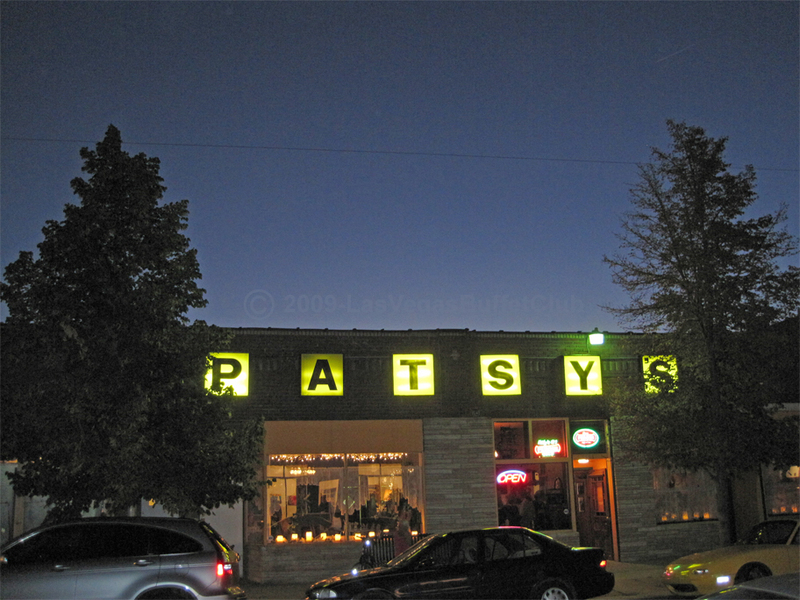 Patsy’s has been serving the same Italian food for years, from at least three different owners. And the food is authentic and tasty, if you like Southern-Italian cuisine. I happen to like it. Homemade Spaghetti – Patsy’s Specialty! ($9.50.) Check the menu on Patsy’s website for other pastas. Putanesca – A spicy specialty of Trastevere. Tomatoes, capers, calamata olives and red pepper, with white wine and olive oil over fettucine ($11.00). Chicken or Eggplant Parmesan – Tender chicken breast rolled in seasoned bread crumbs or seasoned baked eggplant. Topped with Patsy’s original spaghetti sauce, parmesan and mozzarella, with homemade spaghetti ($14.00) Check the menu on Patsy’s website for more entrees. Patsy’s has a huge parking lot on Navajo – 1/4 block north of the restaurant – that they share with the art- galleries (several on the block.) The area hosts a First Friday (of the month) art-walk, many of the galleries “do” cheese and wine. A GOLD STAR: Unlike so many restaurants, Patsy’s background music is period appropriate to the restaurant’s vintage decor and type. Memo to Martin Scorsese and other Film Industry execs: You used Las Vegas’ Peppermill’s Lounge in “Casino”and The Golden Gate’s, Bay City Diner in “Pay It Forward.” Give this place a try. Fugedaboudit! 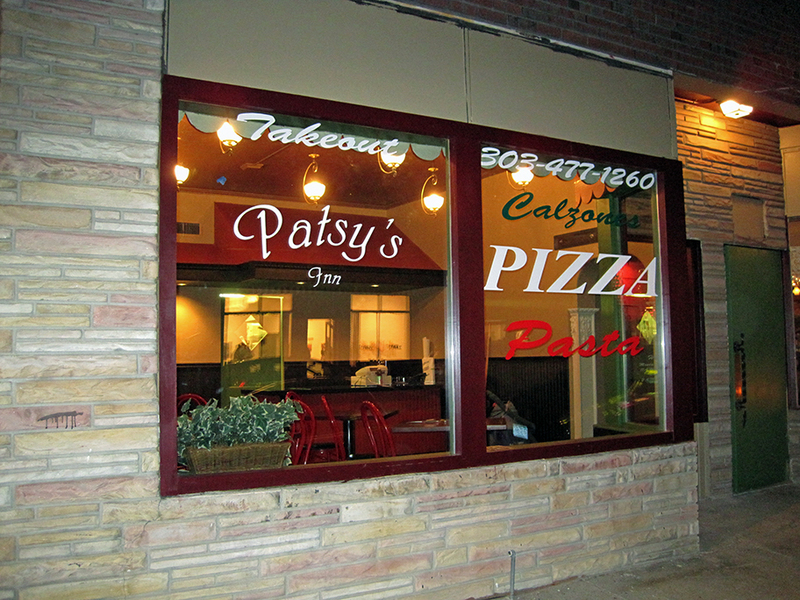 Patsy’s Pizza and Pasta place—next door to the main restaurant—is open for business. A sign with the word “Dream” hangs above the counter. I’m guessing someone dreamed up the idea for this restaurant. The pizza is rather thick with a tasty golden crust and excellent cheese on top. This is more of a Neapolitan pizza than NY-style. By the way, pizza is not served in the main restaurant. This post was first published Oct. 21, 2009. C.2010 [TrueItalianTable] All rights reserved. 3 Sons Italian Restaurant WELCOME TO TRUE ITALIAN TABLE!